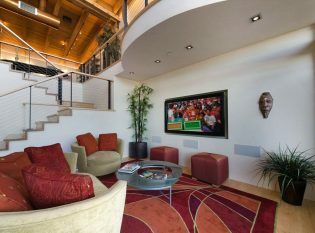 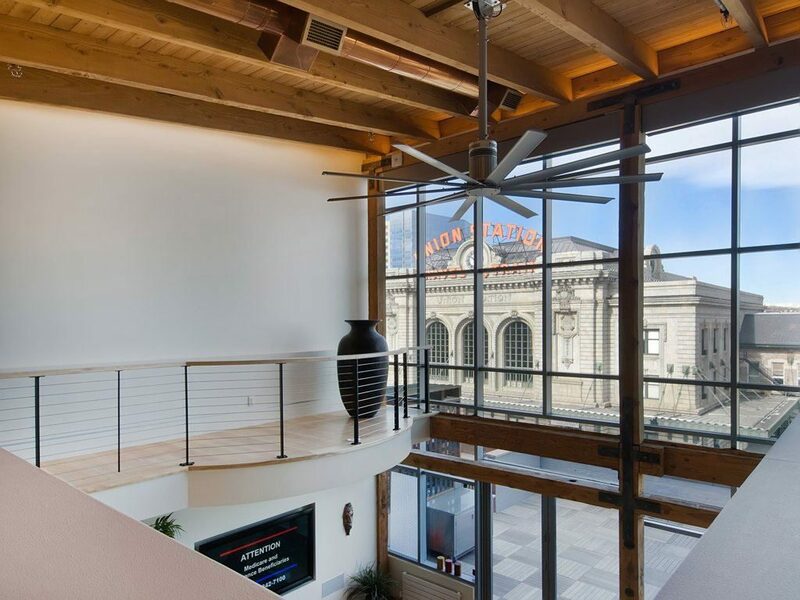 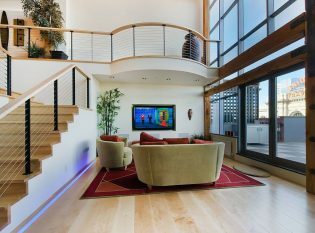 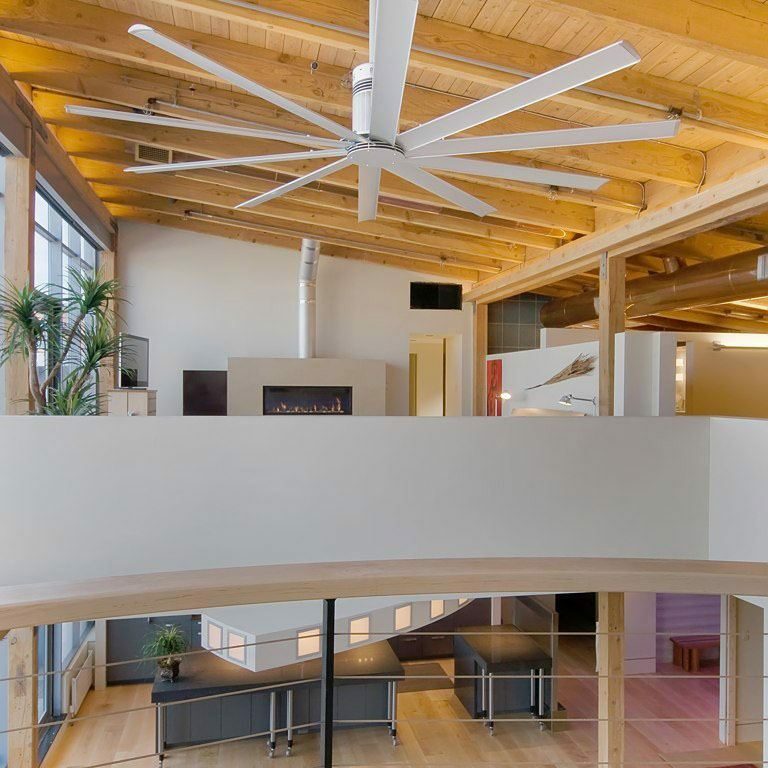 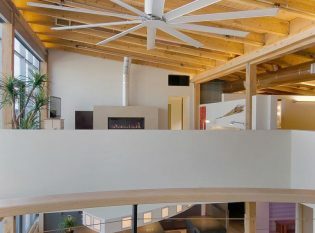 This penthouse loft in the heart of Denver’s historic downtown district overlooks both the bustling city and the Rocky Mountains in the distance. Originally owned by the Denver City Railing Company, the building, now residential, sits directly across from Union Station and just a few blocks away from Coors Field. 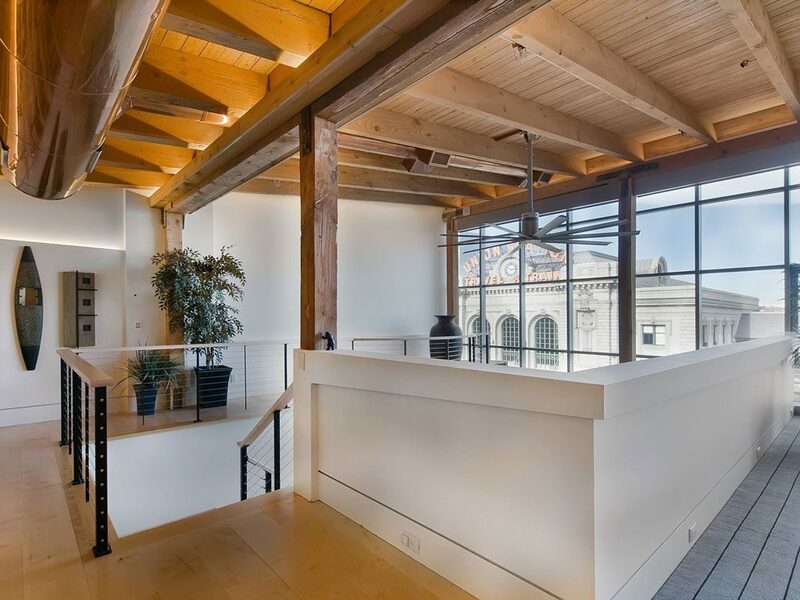 It was built in 1882 and originally housed streetcars and horses. 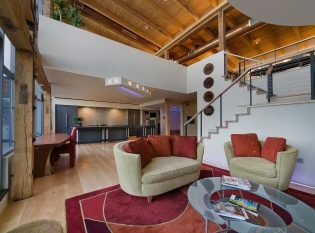 Today, the building maintains its original architecture but with added modern features. 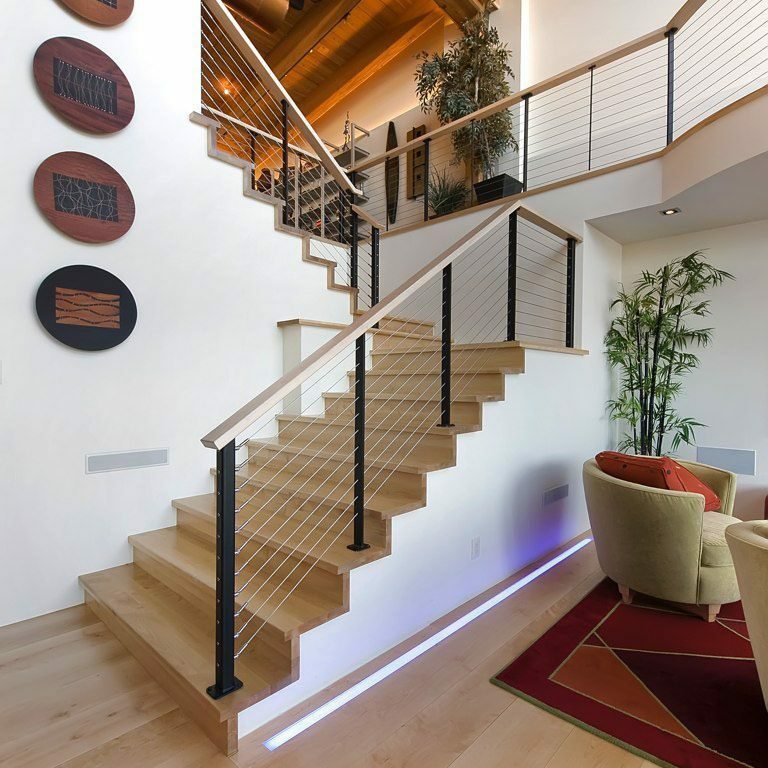 Our client lives in the building’s two-story penthouse loft and wanted to install a cable railing system that would give their space an open and contemporary feel. 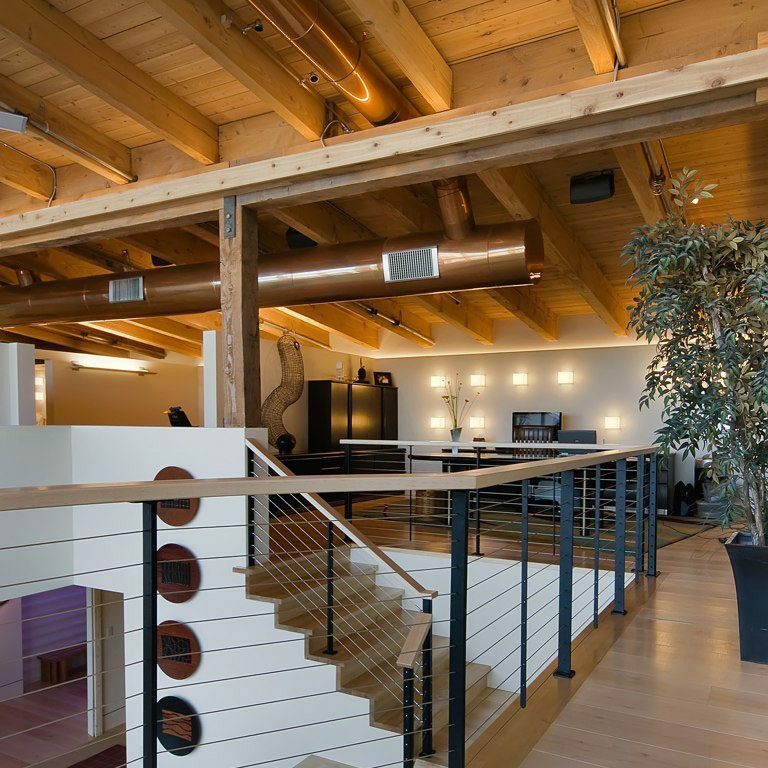 They needed railing for the interior staircase, the upper-level loft, and the exterior patio. 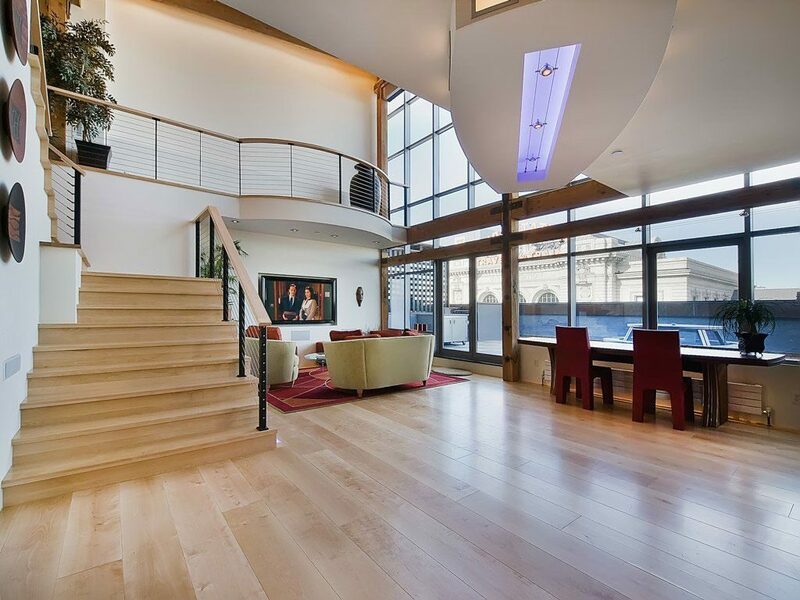 Because of the apartment’s great location, our client wanted a railing that wouldn’t obstruct the view from the deck or through the loft’s floor-to-ceiling windows. 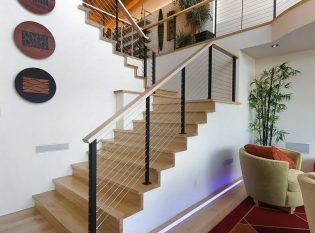 They chose our Ithaca Style railing design because of its slender posts and nearly transparent cable infill. 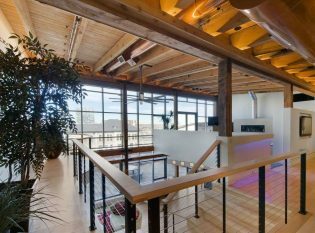 The clean and simple design fit perfectly with the building’s existing industrial architecture but also added contemporary flair. 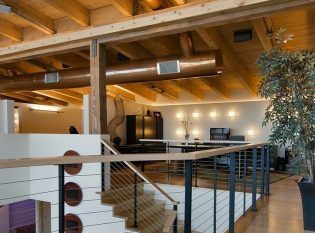 For the railing posts, we used “Raven Black” powder-coated steel to match the straps and hangers on the distressed timber beams. 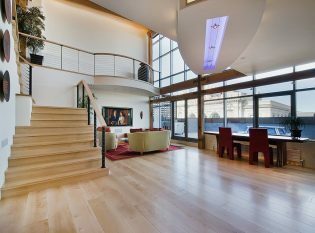 The railing features a custom-milled maple top rail with a finish that matches the wide plank maple hardwood flooring. 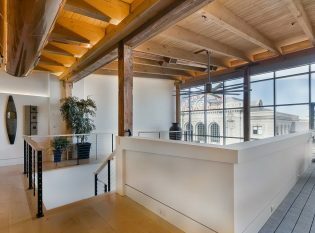 The cable infill allows the light from the large windows to pass through and warm the entire space.